Community Services eNewsletter Sign up for this list to receive our monthly newsletter. 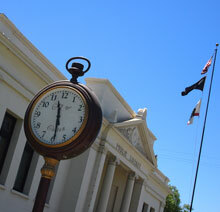 You will find information about activities and programs that will be held in Colton. Development Services eBlast Sign up for this list to be notified about information regarding Development Services. Electric Department Sign up for this list to be notified when there are scheduled outages and power disturbances. Fire Department Sign up for this list to be notified when there is a fire emergency in Colton. Police Department Alerts Subscribe to this list to be notified when alerts are announced from the Colton Police Department. Public Works Sign up for this list to be notified when there is a Public Works emergency. Water / Wastewater Alerts Sign up for this list when there is an alert from the Water / Wastewater Department. Notices will be send for hydrant flushing, water shut downs, broken pipes, repairs, and other items. Recreation Swim Cool off with a refreshing dip in our pool! Beginning June 3, the pool opens for water lovers of all ages. Pool is only open for a limited time, so don't miss out on the fun! 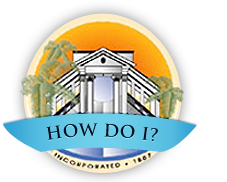 Parks & Recreation Foundation The Colton Parks and Recreation Foundation is a nonprofit public benefit corporation, organized for the specific purpose to aid, sponsor, promote, advance, and develop parks and recreational opportunities for the citizens of Colton.